Arab Turkish Travel Gazette (ATTG) aims to promote and increase the travel and tourism traffic between the 22 Arab countries and Turkey both ways. It also aims promotion of travel and tourism to Arab countries and Turkey from the entire world. We are passionate about showcasing and promoting the region’s tourism possibilities and increase travel between countries. 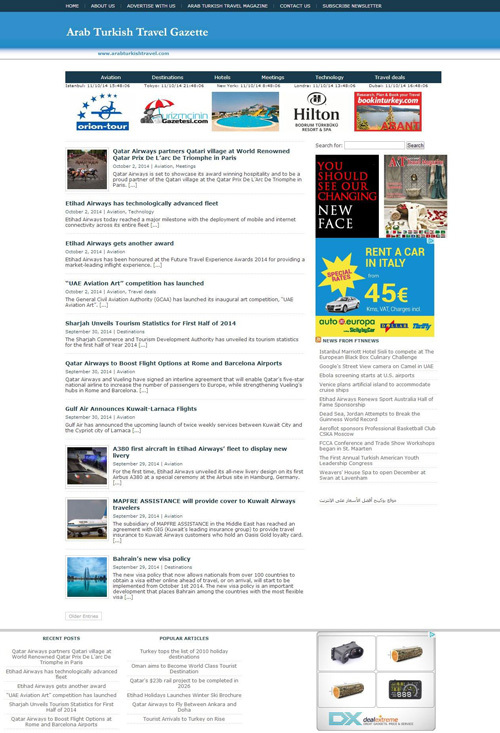 Therefore, we have launched our new online publication; Arab Turkish Travel Gazette. Whether you’re launching a new product or building brand awareness, ATTG is ready to help you promote your business with a wide range of formats for advertising from web banners to promotional e-campaigns. Please get in touch to discuss how we can make a difference for your business.